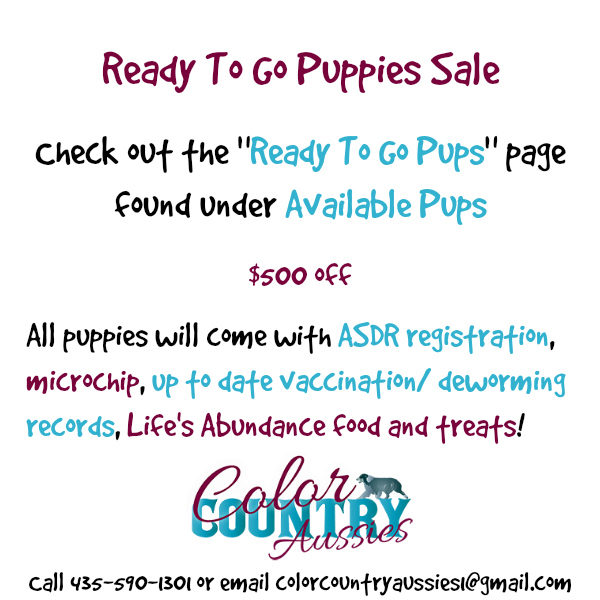 – Before coming to our location, the customer is encouraged to pick up to 6 of our available puppies to choose from once on site. This is to ensure that we put the most time, effort, into these specific pups. We feel strongly that our puppies are well prepared physically and emotionally for their new home. We also require that you do not go to any other kennels or pet stores before coming to our home as we want to keep our puppies safe. We also do not allow other pets on our property nor do we let anyone handle any puppies that are under 8 weeks of age. – We require a $250 deposit before your visit. This nonrefundable deposit will be applied to your future purchase. Unfortunately, this is necessary to promote serious buyers. Due to being a family business in high demand, it requires a lot of resources to prepare the puppies for your visit. It is unfair to other customers and their future companions if they are unable to receive Color Country quality because we have wasted these resources. – If you cannot find the perfect pup in your first visit, you are welcome to repeat the choosing process and visit within 30 days. This requires another nonrefundable deposit of $250 which will go towards your future purchase. At Color Country Aussies, we yearn to assist you in finding the perfect companion for years to come. 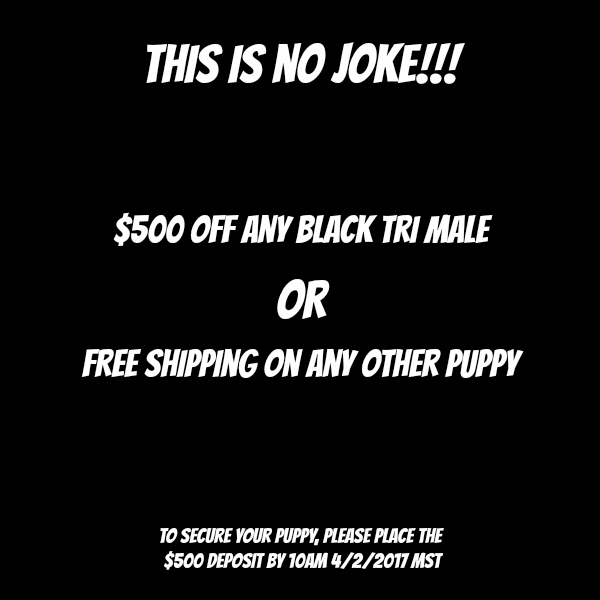 To help the customer get as much information about each pup as possible, we have included many photos, videos, and descriptions for your convenience. Feel free to call us if you have questions about personality or individual traits. 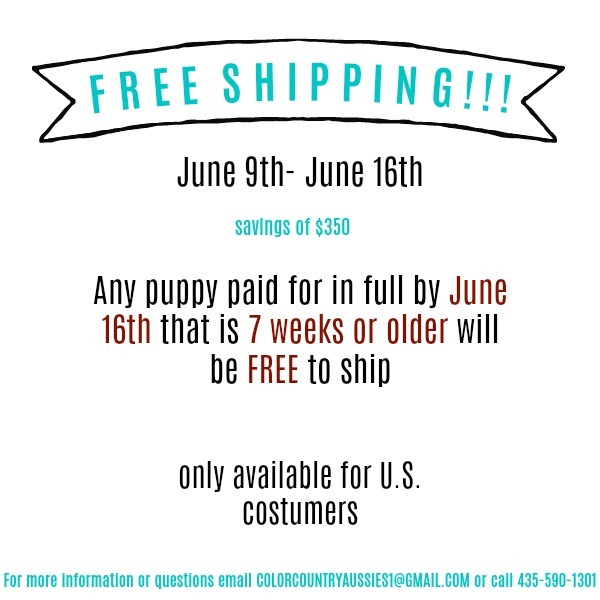 We have a personal relationship with our puppies and are happy to help you know them as well! 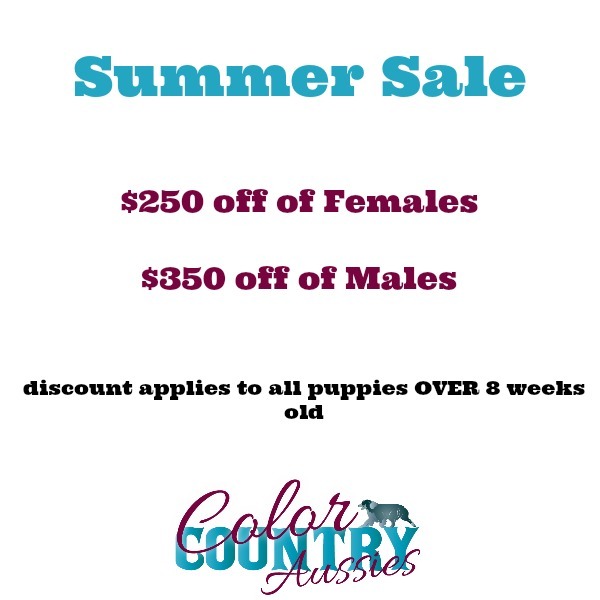 Our family understands the importance of finding the perfect puppy for you and your home. Please let Color Country Aussies help you discover your new best friend! Please sign and date this Visitor Policy below. I, ________________________ agree to the above stated guidelines in the Color Country Aussies Visitor Policy, and I also agree to paying the $250 deposit and acknowledge that it is nonrefundable. By paying the $250 deposit you enter into a contract with our Visitor Policy and acknowledge the deposit is nonrefundable. Download a copy of our Visitor Policy here or by clicking the image below. Sign it and email it back to us at colorcountryaussies1@gmail.com.